Recipes → drinks → Summer Session Old Fashioneds and a Giveaway! These little summer session old fashioneds are the perfect drink to curl up with. First off, they’re a session (a riff off of session beers; lower alcohol beers), which in theory, allow you to drink more while getting less drunk. 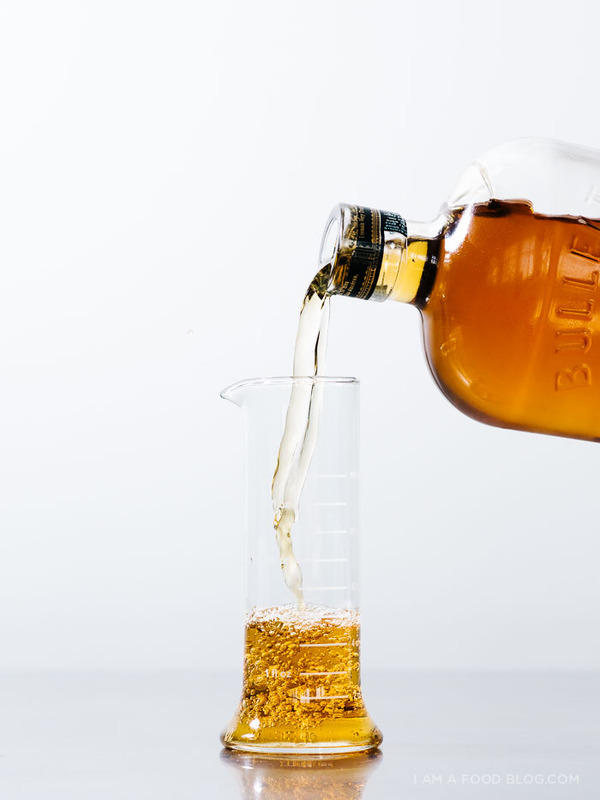 In that sense, they’re not technically old fashioneds, but they have a couple of similarities: bourbon, simple syrup, and bitters. That’s where the similarities end. I added in some thyme for herbaceousness, as well as some citrus fruit for a bit of a summer punch. Then I threw everything into Bonne O’s Home Carbonation system to bubble it all up. 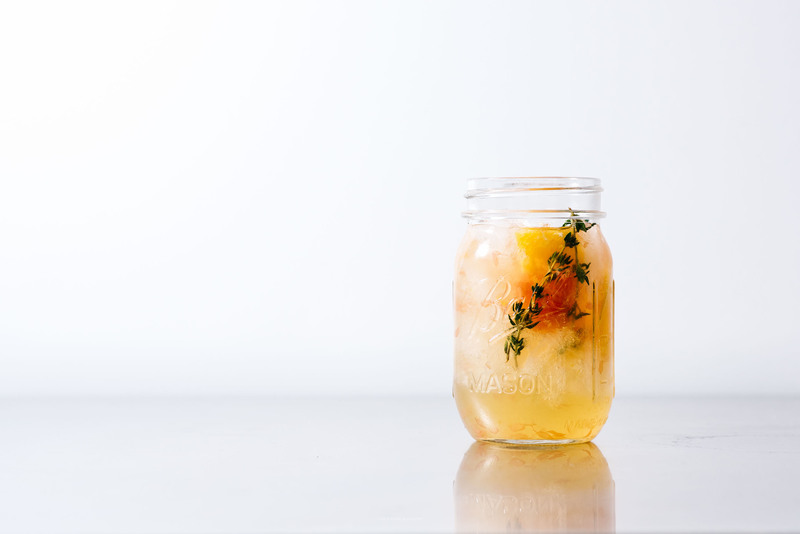 Bubbles make all drinks better and this is extra fun because all of the items go straight into the bottle for the ultimate infusion of flavor. I know summer is winding down, but I hope you guys are getting your drink on anyway! 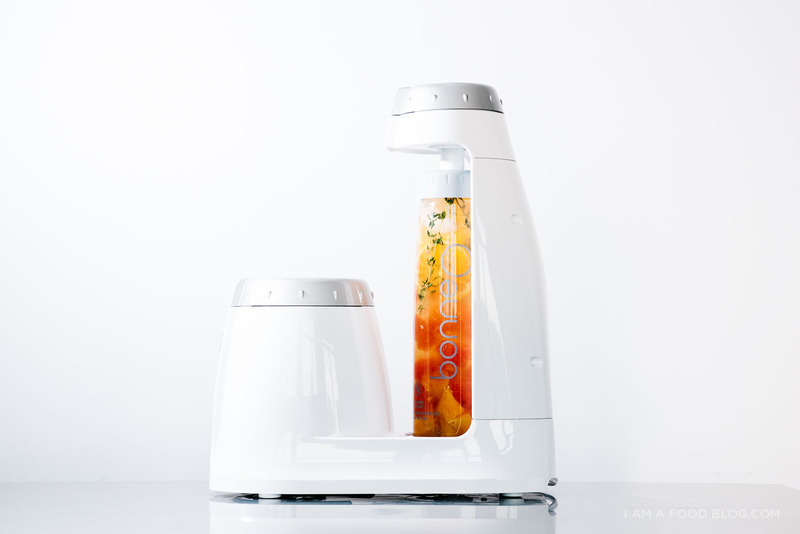 GIVEAWAY: I paired up with Bonne O to give away a Home Carbonation System so you can get creative and make your own fizzy drinks at home. ENTER: To enter, leave a comment below with your best summertime drinks memory. I want to hear ALL the details! I’ll randomly choose a winner and contact them by email. Open to Canadian and US Residents only. (Sorry international friends.) Contest ends September 7th at 12AM PST. Good Luck! Update: Congrats Katelyn, you’ve won yourself a Bonne O! Check your inbox for the details! Add the water and sugar to a small sauce pan. Bring to a boil over medium heat then remove from the heat. Add the thyme springs and let steep for 15 minutes. The longer you let it steep, the more intense it will be. 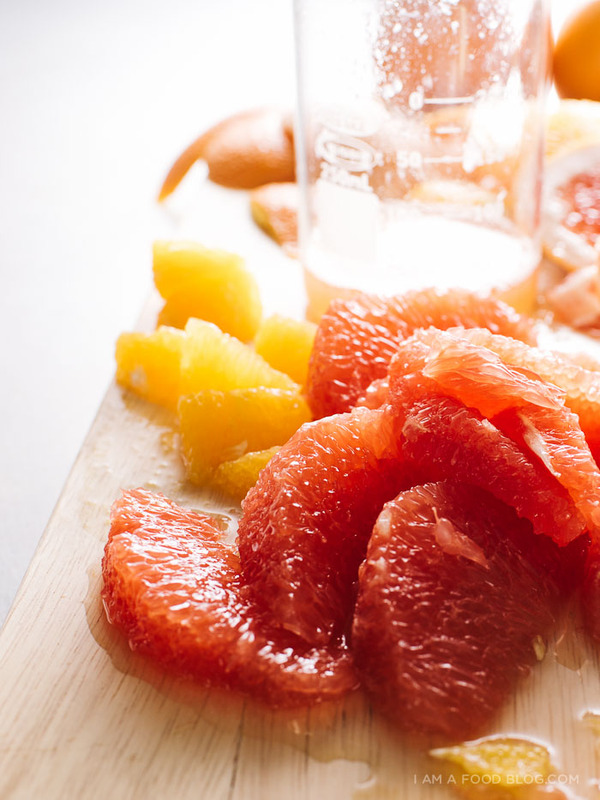 Section the orange and grapefruit and cut into bite-sized chunks. For Bonne O Home Carbonation System: Place the fruit and bourbon in the bottle. Shake in the bitters and top to the rim with ice-cold water. Place the thyme syrup in the flavor chamber and activate the machine to carbonate. 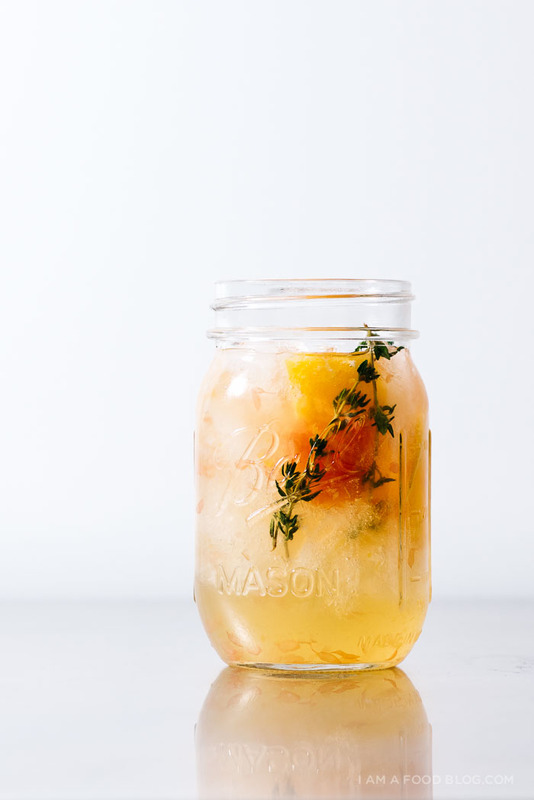 Pour over ice and enjoy with orange twists and thyme! In a pitcher: combine the fruit, bourbon, bitters, and thyme simple syrup. Top with 1 1/2 – 2 cups sparkling water. Pour over ice and enjoy with orange twists and thyme! This post was sponsored by the Bonne O, the first home carbonation system that lets you put everything into the bottle. 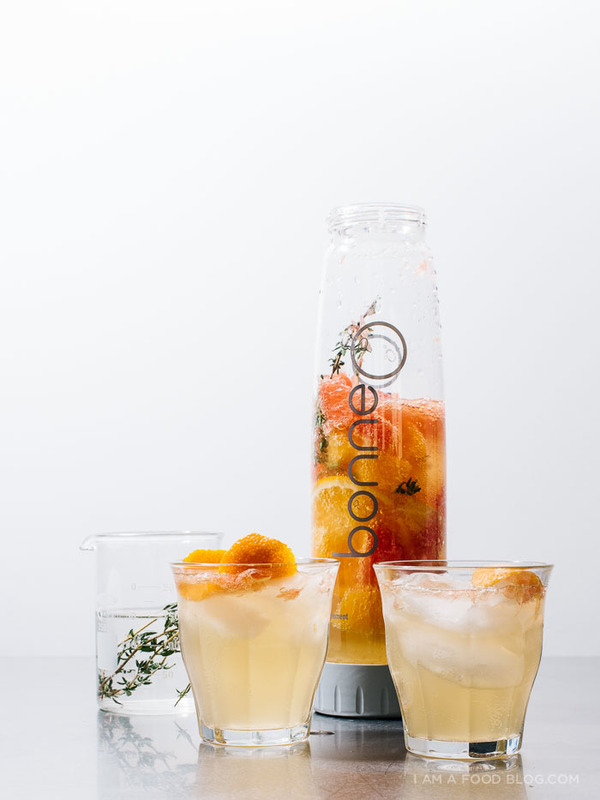 Bonne O is available at the following retailers: Bed Bath & Beyond, Bloomingdale’s, Williams Sonoma, Frontgate, Hudson’s Bay, and Home Outfitters. Thanks for supporting I am a Food Blog! This looks delicious and what a cool sounding product! My problem with the current carbonators on the market are that you cannot infuse them, you have to mix the stuff in separate which always causes a loss of fizz. I had never even heard of this before, how neat! What a beautiful looking cocktail! I love the addition of grapefruit to this – my husband loves an old fashioned so will give these a go! Oh, this is beautiful! I think my best summertime drinks memory is the first time I had a mojito. Right? Isn’t that everyone’s favorite memory? Mojitos are magical! 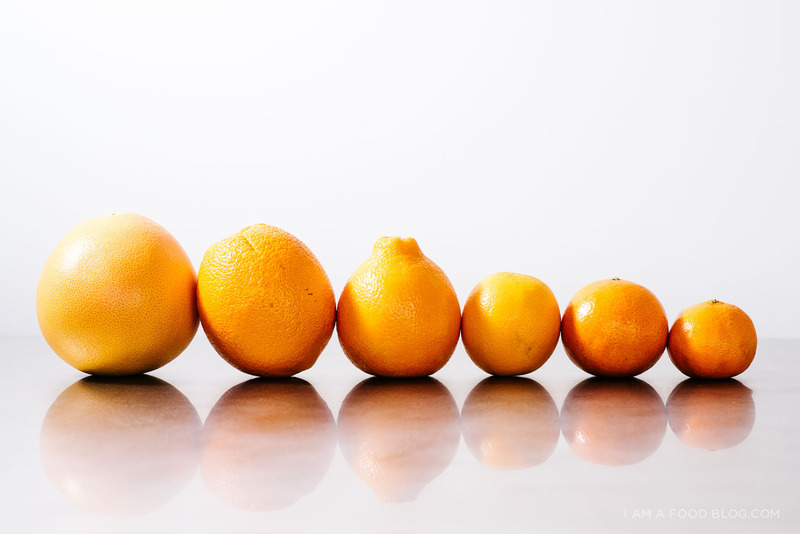 Those citrus fruits are beauts! I’m sure they tasted as good as they look in those Old Fashioneds. My favorite is blackberry infused vodka, made with blackberries picked by me with rosemary infused simple syrup, lots of ice, topped off with club soda, super refreshing and very pretty to look at. lovely and delicious, a win-win! Oh man… my best summer drink memory is a a bourbon, blackberry, and mint iced tea concoction that I drank while floating down a slow-moving river in an inner tube. That was a truly fabulous day. Nothing beats drinking margaritas outside and munching on chips and guac. I could do that every single summer day! I’m more of a beer drinker, so some of my fondest memories involve going to the Cape Cod Brewery (in MA) as soon as we get onto the Cape and having some of their delicious Cape Cod Red Ale that we really only get when we’re on vacation. As for fizzy drinks, I love all seltzer! I treasure my memories of simple G&Ts on the porch with my friends on too many warm summer evenings to count – the clink of ice, the murmur of conversation, and the floral fizz and acidity of the drink on my palate are simple sensory memories that will stick with me for a long time. Wow, must try this recipe. I love anything with bourbon!! My summertime memory for a drink is probably having watermelon blended with a splash of lime soda. So good! My favorite summertime drink is a pimms cup, which I first had while visiting my sister in London years ago. I love sparkling drinks! My favorite is ginger beer with a lot of ice. My favourite summer drink memory is a fresh watermelon and lime margarita. Made with blended watermelon, freshly squeezed lime and tequila! Yum! When we visited my aunt Lucy, she used to have us nap while she cooked. We’d sleep on her giant cool fanned four poster bed in the heat of Arkansas while she made sweet tea in the hot afternoon sun. When we got up were allowed to drink the tea while sitting on her rocking chairs on the big wrap around white front porch and watch the chickens mill around the front yard. She’d be fryin up frog legs and bacon, slicing big tomatoes and wilting greens for lunch. All of is washed down by the cool iced sweet tea. That sweet tea represents summer, family, our childhood, wonderful summer visits and aunt Lucy, long gone but not forgotton. We all make that sweet tea now and serve it to our kids here in Michigan. We try to sometimes change it, add spices and herbs, constantly experimenting with tea and summer drinks. My favorite summer drink has to be coconut horchata! I love the refreshing taste and it transports me back to a beach somewhere in the Mayan Riviera. I’m going to renew my love for booze and fizzy water. And get you teach me how to make them more awesome. street side mojitos in dubrovnik. there is a funny shirtless super buff bald man that makes mojitos on the side of the street in front of an ice cream parlour. when you ask for the mojito he asks “are you going to party or are you going to sleep” and adds rum accordingly. they are surprisingly pretty decent mojitos. Like you, I also love a good summer rain. It’s definitely a wonderful excuse to get all cozy and curl up inside (with a good beverage). One of my favorite summertime drink memories is 4th of July a few years ago when my friends and I randomly whipped up my now infamous blueberry mojitos, got drunk and came down from a sugar high, and then just laid around on my living room floor. Good times. :-) This carbonation thing sounds AMAZING!!!!!! For summer drinks, I think that there’s nothing like a mimosa. The way I know that I’m really on vacation is to be drinking a mimosa before noon, enjoying that play between the carbonation from the champagne and the acidity from the orange juice. I like to drop a few blueberries in for a hint of sweetness. Love this giveaway! I just had to return my sparkler (different brand) due to malfunctions! I’m in desperate need of a new one!! Being from Texas, I have to say my favorite summertime drink memories include margaritas! Last summer, I was studying abroad in London and I stopped by one of Gordon Ramsay’s restaurants. I had a pomegranate martini and it was perfectly tart, sweet, and refreshing! Summertime drinks on the patio of my new home, birds tweeting and cicadas chirping. Home sweet home! Many of my summertime drink memories are a bit hazy for obvious reasons but one that stands out would be from when I was in college. We were super poor (like you do when you’re in college) and so we started a tradition of “liquor in a bucket” one summer. This is exactly what it sounds like – all the little bits of liquor you have lying around into one bucket – Mad dog, Hawkeye vodka, Natty ice, really whatever – the bucket was all inclusive. A bunch of us friends would get together, drink out of the bucket and debauchery would ensue. The now totally responsible adult me cringes at the thought of downing such a weird mix of cheap liquor but the young and wild me wouldn’t let a hangover from hell stop me from enjoying a summer evening with my friends. Obviously if I were to be randomly selected to win the giveaway I would use it only for good – classing up already amazing cocktails but it in recalling this story I would have to smile each time I reach for it remembering my liquor in a bucket days. Cheers! My favorite drink memory is the first family vacation on Ocean Isle I could drink at — cool vodka, seltzer, and lime while looking out over the ocean? Love it. Sangria on the patio with friends! This looks yummy! My favorite summertime drink memory is back in my hometown of Chicago. Moody’s Pub has the absolute best atmosphere for summertime drinking with a large outdoor patio fitted with picnic tables, strings of lights, and lots of luscious trees forming a canopy over everyone. And they have the best summertime drink – pitchers of perfect sangria, full of floating fresh fruit and earthy red wine, ready to be poured into glasses all around the table. Nothing reminds me of summer more than pitchers of chilled red wine sangria! When my boyfriend and I had just gotten together, we sat out on his deck one night, with a beautiful view of downtown Vancouver, drinking bourbon sours and listening to albums we both loved. He’d pick one, then I would. And we sat up talking til the sun came up. Sounds overly romantic and pretty cheesy, but it was a beautiful start to a pretty fantastic journey that we’re on. My best summertime drink stems for summer vacations at Grandma’s. She would make the best mint watermelon spritzer with the classic sliced lemon on the rim. We’d sit out on the porch admiring the freshly gardened hydrangeas and visiting with neighbors. I definately plan on recreating this drink…just as soon as she gives up the recipe. Finding a random jazz bar in Chicago on a super hot day and drinking a bunch of mojitos to cool off! Mojitos always remind me of jazz and sweaty summer days! The best summertime drink was probably the frozen watermelon slushie my dad made (non-alcoholic since I was 8). He let the kiddos loose on a watermelon patch and we chose the LARGEST watermelon there. In my 8 year old mind that watermelon was an absolute beast of epic proportions – it even got it’s own car seat! We took that sucker home and froze it for a potluck. The next day my dad cut a hole out, stuck a bent wire on a power drill, and went to town. The best moment was when he poured out the liquid juice inside and it sloshed out like the guts of a bug. I was a weird kiddo, but my dad adds a splash of gin into my watermelon slushies now. I would have to say that one of my favourite drinks memory were the gin and tonics I had as sundowners on my trip to Africa. Such a great way to end the day. When only starting to meet with my soon to be husband, I visited him in the city where he lived and he took me for a tour around town. I was familiar with the town, but not with the places he specifically likes. One of the places we went to is a shop that sells fine wine and cheeses and got a tasty cheese and a belgian beer with lemon which I never saw again, including in the same shop – called ‘Lambic’. Near where the shop is located, on top of a very high hill, there is a promenade where you can walk or sit on a bench and see the whole city and the bay. It was a great moment and a great beer. I love Kahula, Butterscotch Schanapps and cream. After a couple of these cool things you start feeling all fuzzy inside. And the best part is if they can start tasting like tootsie rolls dipped in butterscotch! Favorite summertime drinking memories are from the Bastille Day celebrations in Brooklyn, drinking cocktails and enjoying the sun and people. I love going with my husband and dog to nearby wineries over July 4th and drinking rose out in the hot sun. My favorite summertime drink memory from this year involves taking a long, hot bike ride to the pool with some friends. Then we swam and swiped on bourbon lemonades to cool off! Awesome recipe! My favorite summer drink is a 14’er aka a double 7up and Seagrams 7 – it’s my go to drink on the golf course in Montana! my favorite summer memory was making sangria at home, for the first time and having a nice get together with my friends on my patio. It was the one evening we all got together and caught up. We haven’t seen each other in years. One of my friends made a caprese salad with some quinoa added to it. Oh my word, will I be making this drink ASAP! If only I had a Bonne O Home Carbonation System to fancy it up!! My best summertime drink memory this year was an amazing Plum-Tarragon Shrub that I made and mixed with Gin, Soda Water (wish I had a Bonne O Home Carbonation System to make my own soda ), and a splash of Elderflower liqueur. We had a neighborhood cocktail party and everyone brought their best libation and and it was just a fabulous day. We finished it off with tons and tons of seafood on the grill and Homemade Fudgesicle Brownie Pops (recipe from my favorite food blogger)!!! I grew up in the 60’s so, for me it is Root beer Floats…I remember after a long day working on the farm mom would take use to the drive-in for a treat. My favorite summer drink is simple, tasty, and reminds me of home (Nova Scotia). The humble Shandy- beer and carbonated lemonade! Delicious and easy. The Home Carbonation system is a neat concept I’ve been dying to try. Thanks! my summer drink is stone fruit sangria! We have an end-of-the-summer crab boil every year with family and friends. My favorite summer drink is the cold, crisp corona that gets caked in Old Bay while we eat crabs all night! My family used to stay at a group of cottages the last two weeks of every august. One day would always be designated “mudslide day”. We’d go to the store the night before and buy all the fixins’ and then next day, late morning, we’d gather on a friend’s porch and start mixing them all up. we’d spend the day by the water sipping on the delicious milkshake drinks and laughing. When I think of summer, I think of watermelon, especially made into aguas frescas. I also have been into cucumber soda lately, alone or mixed with gin. It’s so refreshing. my favorite summer drink is tea infused vodka with fresh squeezed lemonade. My friends and I call them DAP (Drunk Arnold Palmers). So good and refreshing. Mine is making iced tea and sitting my my Nana and Papa’s porch watching the world go by…..so incredibly relaxing and always makes me smile! This summer my memories are all non-alcoholic. I was rockin’ sparkling pink lemonade while my friends drank wine since I’ve got a bun in the oven! Jazz in the Garden with sangria is one of my favorite summertime adventures! My favorite summer drink memory is so simple, but I think about it often. I was working in a summer stock theater with a restaurant attached. We finished a show one horribly hot August night, and we were all so very tired and sweaty and hungry. The kitchen was closing, but the cooks saw the sorry state we were in and took pity on our bedraggled crew. They prepared for us one of the best meals I’ve had to this day: steamed clams and corn on the cob, both served with lots of butter. We sat in the bed of a pickup truck in the parking lot and ate with our hands, washing it all down with the coldest, most refreshing beer I’ve ever drank. The memory of that magical night is still so present for me, 10 years later. We had worked so hard that summer, struggling with the heat and the lack of resources and with all of our individual anxieties about growing up. But in that moment, sitting under the impossibly starry sky pulling long sips of cold beer, all the world seemed open and good. Best memory was drinking Canadian wine out of a box, just in it’s vacuum-packed sac while on a canoe trip in Algonquin park in Ontario, Canada. My best friend and I had just canoed 20KM in a day and were sitting on the rocks by the lake at our campfire and drinking this terrible yet perfect wine. Best memory. Easy! Mojitos all the way. I learned about shrubs this summer and my life has basically never been the same since. The carbonation system (and this drink!) Look like a lot of fun. I’ve seen a bartender friend use one before but it’s near to see a home system, too. sipping negronis on a hot deserted brooklyn sidewalk and reading the sunday paper. Caiparoska! Perfect for the summer. It’s a take on a Caiparinha, only lower in calories! Made with muddled limes, 1 part vodka, crushed ice, then topped 3/4’s of the way with cluba soda and topped off with a splash of sprite zero. Perfect summer drink to keep you nice and cool during these hot days! I was in Costa Rica a few years ago volunteering with sea turtle conservation projects. Our shifts were long, and we were on black sand beaches so it was doubly hot in June. We got one day off every two weeks, so we went to the nearest port town, sag on a patio and had wonderfully cold red wine sangria, loaded with pineapple and star fruit. It was really cheap but so delicious! And we just drank and sat on the patio. It was awesome! No specific memory! But love hanging out in the backyard with the sun setting and having drinks and playing lawn games with friends…perfect summer night. My favorite summer time drink is homemade raspberry lemonade topped with fresh raspberries. Summer drinks memories: drinks with my girls on our favorite patio. The best strawberry margaritas, chips & guac, and good conversation is the best recipe for a hot evening. This Bonne O system looks great. I love that it doesn’t need to use Co2! I hosted my very first dinner party with my girl friends the summer after I graduated college and spent all day making the perfect sangria with lots of delicious fruit. It’s become one of my favorite summer things to make! I was a total pool rat in my neighborhood growing up. My favorite part of going to the pool was sometimes going to High’s (the convenience store) next door. My sister and I felt so grown up going into a store by ourselves to buy a drink, and we usually spent our money on a slushie. The ice was always too chunky, the syrup a little too sweet, and it all fused together into one impossible-to-penetrate-with-a-plastic-spoon ice ball, but we loved it. The blast of AC of the store on our sun-warmed and pool-wet skin was actually freezing rather than refreshing, and we’d head back outside with our slushie’s, excited to lounge outside with our cold treasure. the best summertime drink memories has to be at the friends annual cabin getaway. we hang out all weekend long, sipping drinks and floating in the lake. My drink of choice one year was a simple lime Margarita. Now I usually don’t drink much, usually a drink and a water but that day was hot and humid and let’s just say i over enjoyed the tequila and i ended up laying on the couch very emotional as my friends told me how much they love me. They truly do. my friend was there to hold back my hair and giving me loads of water to help me feel better for the next day of doing the same thing. one of my favorite summer drink experiences occured this past weekend. I invited a bunch of newly married friends over as the husbands had mentioned they wanted to learn how to brew beer. I figured if the wives could hang out, we could do a bbq and everyone would enjoy. I shared some of the beers I had just picked up on pilgrimage to vermont, and we hit our brewing numbers perfectly. I would love to use the Bonne O to carbonate small amounts of fermented beer to allow me to test small flavor additions without adding anything to the entire batch. 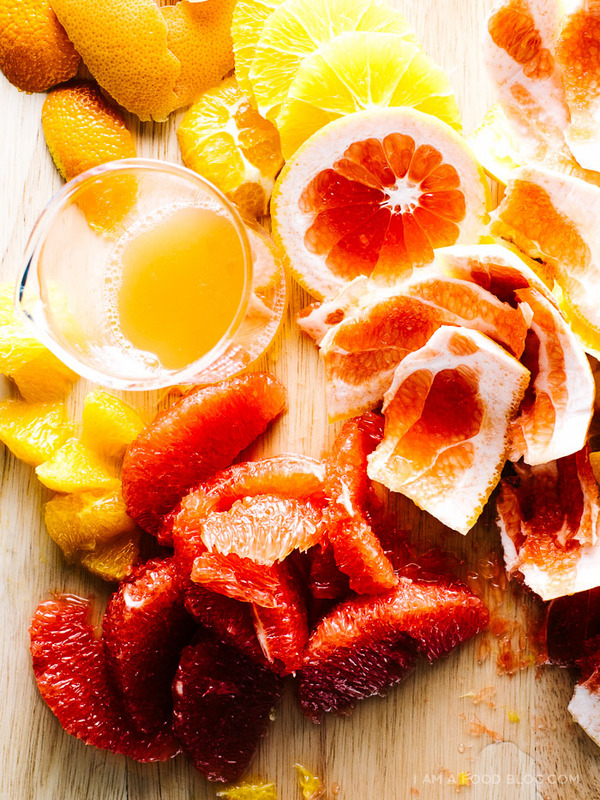 My favorite summertime drinks memory is my dad making the best homemade sangria for dinner parties, with lots of oranges, lemon, apples and other fruits. My other favorite drinks memory isn’t from summer (or alcoholic), but when we were living in Jordan, my dad would make freshly pressed pomegranate juice from the pomegranates in our garden. It’s the most delicious drink I’ve ever had. My favorite summertime drinks memory is my dad making homemade sangria for dinner parties with lots of fresh fruit–oranges, lemons, apples…my other favorite drinks memory isn’t from summer (it’s not alcoholic either), but when we were living in Jordan, my dad would make freshly squeezed juice from the pomegranates that grew in abundance in our garden. That pure, sweet juice is still the best drink I’ve ever had. My favourite summertime cocktail memory actually involved bourbon as well, much like your fantastic twist on an old-fashioned (can’t wait to try it). It was a hazy hot summer evening, perfect weather to sit on the deck with some friends, with a pitcher of bourbon-spiked lemonade (made with bourbon, lemonade, tonic water for a bit of fizziness, all infused with some mint from my rooftop garden). Summer at it’s best! The past two summers, shrubs have been my go to summer drink. I have made them wtih blueberries, blackberries, strawberries, cherries, watermelon, and peaches. If available, I throw in whatever fresh herbs are in the house. Most often a near 1 to 1 to 1 ratio of mashed fruit, sugar and apple cider vinegar, they are refreshing mixed with sparkling water and occationally some gin or bourbon. Favourite Summer memory: Having a ‘sangria showdown’ and a bunch of friends would whip up their best sangrias where its brought to the bbq get together. Of course in the end, everyone wins. I’ve had some pretty darn wonderful drinks in my time (the mead we had at a solstice party this year was divine), the best memories may go with the good ol’ “bug juice” at camp! This summer, I had a pretty great time cooling down with drinking vinegar and whiskey drinks! My best summertime drink memory is when I was in the Navy. I had been deployed to Cuba for work (which was long, hot, and not all that fun). The one thing that gave us all the opportunity to relax and de-stress was the tiki hut bar, overlooking the ocean, with the best mojitos I have ever had. Our bartender was a Cuban national who was always willing to reminisce about growing up on an island in the Caribbean… I miss those days, and personally can’t wait to be able to go back and remember some of my best friends and see some of the best views. Ya can’t beat a good Margarita, although tequila makes me want to go skinny dipping in the lake! My best summertime drink memory is drinking hendricks and soda with cucumber and ginger slices out on our balcony watching July 4th fireworks with my husband and son. We used to have cook outs when I was younger at my grand moms and she made a lemonade out of sugar lemons and added some fresh strawberries and kiwi to it..I will never forget those sweet and delicious coolers. I make them now for my little ones!! One of the most refreshing hot weather drinks is pineapple lemonade with shredded mint. It’s simply home-made lemonade (you adjust the sweetness to your liking) mixed with a generous amount of pineapple tidbits and natural pineapple juice. The lemonade to pineapple ratio is about 50/50. Stir in a handful of shredded mint leaves and voila! Delicious! My favorite summer drink memory would have to be picking up iced toddy lattes with almond milk after work. Sooo creamy and soooo good (especially during those hot and steamy 100+ degree summer days). 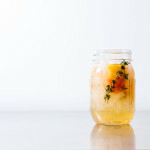 Citrus rind- ,lemongrass-,and mint infused rooibos tea sweetened with honey to quench summer thirst at home! And i also had a red expresso frappé in Capetown which was SO refreshing. It’s made with the local Rooibos tea, caffeine-free- a definite thing to try! That looks amazing! My favorite summer drink memory was when I made a batch of peach mint juleps for a bbq at a friend’s house. They were amazingly delicious with mint simple syrup – maybe a little too delicious. One attendant didn’t realize the drink was alcoholic and drank a full iced solo cup full. While they had a good night, I heard the next day that the following morning wasn’t quite as good. this year? a margarita flight after surfing all day. perfect combo! I think my favorite summer drink memories are from the summer after I finished college. I moved back home and lived in a camper in my parents back yard. lol My mom and I would make mojitos on the weekends and relax out by their pool. This is probably when my “friendship” with my mom really started. Now I think of her as one of my best friends, cool how that happens when you get older and can share a drink together. My summertime drink memory includes my sister in law , a Mai Tai, and a Luau! We took a girls trip to Kauai, Hawaii and went to a luau where you can drink all you want…well, she is not more than a 2 drink kinda gal, so needless to say after the Luau and a few Mai Tais, I found myself running through the streets chasing a giggling woman in pouring rain back to the condo we were staying at! (we had walked to a neighboring hotel bar after the Luau) I kept telling her we needed to wait till the storm past but she bolted like a gazelle and I never knew she was so fast….and silly! No one was hurt in the chase, just wet to our undies, and it is one of my favorite silly memories! Last summer was the “summer of cocktails,” so every week we tried something new. One memorable drink was called a Molly Ringwald, I think based on her role in Pretty in Pink. It has chambord, vodka and Godiva white chocolate liquor. While the drink was not a keeper, we discovered the Godiva liquor was out of this world. My favorite summer cocktail memory is the first time I discovered a boozy Arnold Palmer. I was at a local bar where they seasonally infuse their own booze, and had a drink with black tea infused vodka with lemonade and a splash of iced tea. IT WAS SOOOOOO DELICIOUS! I’ve been hooked on them ever since. I prefer bourbon in them now, but that first time I discovered my fave summer cocktail. OK, this is probably going to sound gross and you probably are too young to remember Fizzies but we LOVED them as kids. They were little tabs about the size of a Tums and you dropped them in a glass of water and they turned the water into fruit soda! I loved them and you can find them every once in a blue moon nowadays but they seem to always be sugar free when I do find them. Deal breaker! Oh and in the movie, “Animal House”, the frat boys filled up the swimming pool with Fizzies and of course, got in trouble. That was as a kid. Now, I just love a nice cold glass of Pinot Grigio!! Ice cold Horchata while strolling down the beach. Ah summer! Summer time on the now closed double tiered patio of the now closed Melrose Cafe in Calgary. The lush planters around you, the propane heaters to take off the chill in the evening, the waterfall at the back drowning out some of the street noise. I remember ordering the strong fruity cocktails brought to your table, shaken there, served with some frozen cranberries. One was all you needed! My best summertime drink was actually this summer. This summer was the summer where I realized what direction to go on life: beer, so it makes sense that my best drink memory would be a beer. I used to live in a beautiful and well known town in Oregon, with a great river running through it. Back then, the go-to was always a Deschutes Chainbreaker IPA. i have many memories of hiking with a six pack of this stuff in my backpack, going over to friend a friends house, or simply hanging out in the backyard with one of these. I have since moved away and hadnt had much of that beer since, but a couple months ago Inwas playing tennis on a scorching hot day. O had brought two of these beers that I had bought just prior to playing. Cracked it open and the mild citrus flavor sent me back to another time. Oh yes. How much do I love summer rain. I wish I could remember the sound of it here in LA (lol but also really not at all lol). These look so delish, Stephanie!